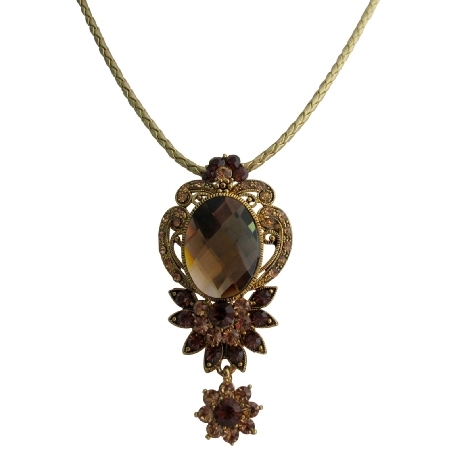 Antique look pendant a geometric art decorated with smoked topaz crystals with cute dangling flower at the bottom of pendant & matching necklace. The pendant is adorned by sparkling smoked topaz Crystals excellent quality. Live for antique vintage fashion jewelry perfect piece for you. always give the impression of being thoughtful & expressive.